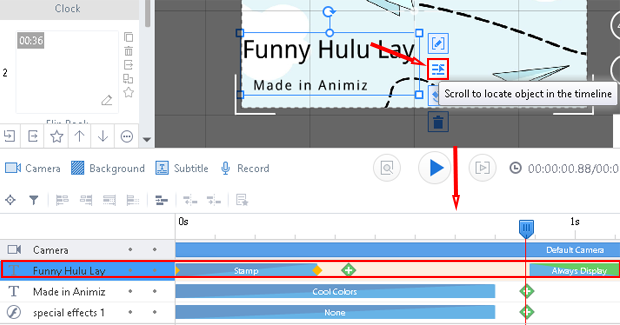 Animiz gives you the ability to locate the selected object in timeline directly. You can take these steps below to achieve this quickly. Previous：How to zoom in/out Canvas?